Hi everyone, as promised, I have a review of the new All About Reading Level 1 program for you! We are totally loving this program, and it’s no surprise really since we absolutely adore All About Spelling! I already started Tinkerbell with All About Spelling Level 1 at the beginning of this year, so she was able to skip ahead a few lessons in the All About Reading Level 1 program, but I still like how the two compliment each other. The Level 1 of both AAS and AAR have a similar scope and sequence. All About Reading focuses on decoding skills, fluency, comprehension, vocabulary, and will include lots and lots of reading practice. All About Spelling focuses on the spelling side of things like how to know which letter to choose for a given sound. 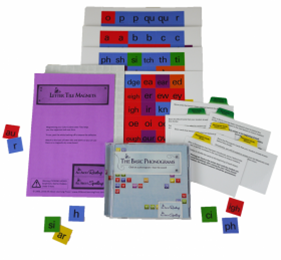 Both are complete phonics programs and use the same letter tiles which make them easy to use together. We also love the workbook activities, the pages are hands-on and interactive which makes the learning more fun! All About Reading also has several fluency exercises that will help strengthen reading skills. The student activity workbook comes with fun hands on worksheets to help your student practice reading more smoothly. We’re currently working through both programs together and doing great! 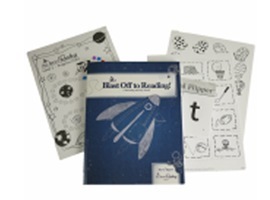 The kit comes with these wonderful reading books which your child will have read through by the time you are finished with the Level 1 program. You can see samples for all of the readers, including the Teacher’s Manual and Student Activity book on the All About Reading Level 1 website. Tip from the trenches: If you have a reader who is just starting out, All About Reading might be a bit easier to do first because the letters are introduced more slowly. 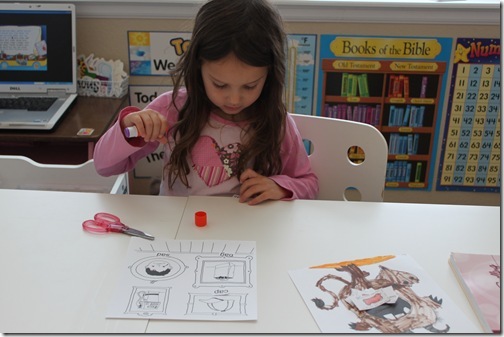 All About Spelling assumes that a child is either already reading, or is very ready to begin reading. If a child is struggling with learning to read, I recommend doing AAR Level 1 first, and then starting AAS Level 1 to reinforce the concepts learned in AAR Level 1, as well as to learn valuable spelling rules that will create the foundation for strong reading as well as accuracy in spelling. What does the Deluxe Reading Interactive Kit come with? 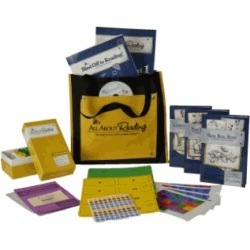 $48.95, this is a one time purchase if you haven’t already gotten these from your All About Spelling program. They are the same tiles used with the AAS and are not consumable, so you would only purchase it once. This kit would total $62.70 if you purchased the items separately so it’s a savings of $13.75 if you purchase it as a kit. 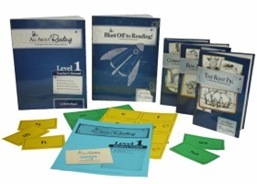 They also offer a Basic Reading interactive Kit: It is $28.95, which is a savings of $7.85 if purchased as a kit. Let me know if you have any questions about this program, we’re well into it, and I’d be happy to help! IMPORTANT NOTE: I want to make it clear that I really only support programs that we USE and LOVE here at Confessions, and this is definitely one of my FAVORITE PICKS for the year! Tinkerbell actually asks to do this first in her day! Thank you for doing this review. I know that these are the programs we want to go with, but we can only get one at this time, so it’s nice to have an opinion about which should be done first. What are your thoughts on BOB books? From your previous posts, it looks like you used them as supplements? Do you think the All About Spelling and BOB books would work for spelling and reading? Thanks again, I appreciate your time. I don’t use the Bob books too often now since the AAR is really enough, but they’re fine for some extra reading practice. 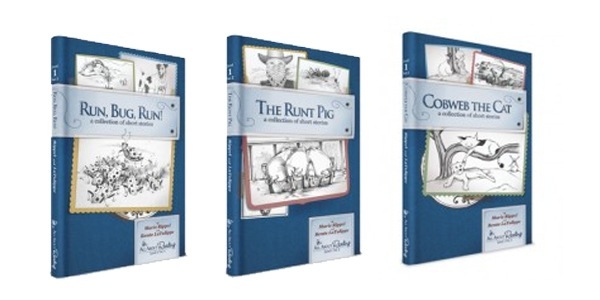 I also have the Bob books on my iPad so the kids use them on that for fun reading practice too. We just had them from years ago, so I try to pull out what I already own, but definitely not a necessary addition. I do think the AAS and AAR programs both do a WONDERFUL job at teaching reading, and spelling! Would love to win this to use with my son! My kids and I would just love this! I have been looking at all about reading, but we cant afford it right now. So this would be a great big blessing! I homeschool my 5 and 7 yr old boys. My 7 yr old could read when he was 4 yrs old. My 5 yr old is reading right now. I never used any program and I don’t think it is necessary to spend alot of money on a program. I just have plenty of books that I got at the dollor store that were easy for beginner readers. I hope this helps. Hi! My son is almost through AAS level 1, but I would love to have the AAR program to do with him. I’ve been creating my own fluency passages, comprehension activities, etc. to supplement the phonics in AAS. I also bought the readers to go with the spelling long before the reading program came out and he is almost to the last story. He reads the stories quite well. My question is this: Should I get the reading program anyway? I hate for him to have to do the stories again….he would feel like he was going backwards. But it would be so nice to have, especially since I don’t know when AAR level 2 will be out. I think he would benefit from a coordinated program, instead of the disjointed one I’ve been creating for him. Any help you can give me would be great! This looks amazing! I would love to win this for my little ones! I went back and re-read your post and I think what you wrote answers my question! LOL If you had to pick one or the other (let’s say you didn’t have the funds for both), which would you choose? Thanks! In my opinion, I would go for the AAS. It is a fantastic program and there are tons of free resources to help with reading online, everything from readers to phonics. There really isn’t anything quite like AAS though. I have to say I purchased AAR pre level whatever it’s called after reading an amazing review. Well, I was slightly disappointed. I think what you offer is so much better and more hands on which is great for my little learners. Wow, talk about some run-on sentences. Anyway, I wish I wouldn’t have bought it and waited for this. I think this is more in-line with post LOTW curriculum. I would love to win it obviously. And if not, maybe some money will magically fall from the sky so that we can purchase it. I mostly want the readers though. I love your site and it makes me wish my children were little again and I could home-school them all over again. Your doing a great job!